As former spice merchants, we learned how to use seasonings from around the world to create unique and crave-worthy flavors. With kitchen-door access to hundreds of restaurants, we soon realized that really good soup was hard to find. So, we set out to transform the world of soup. 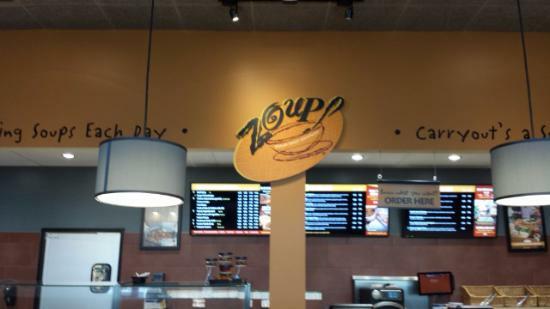 We founded Zoup! so guests can share in the comfort, warmth, and sense of wellbeing that really good soup brings, and we’ve extended that mission to salads, sandwiches and bowls. With every order, we prove that you get more out of a great meal than what goes into it. 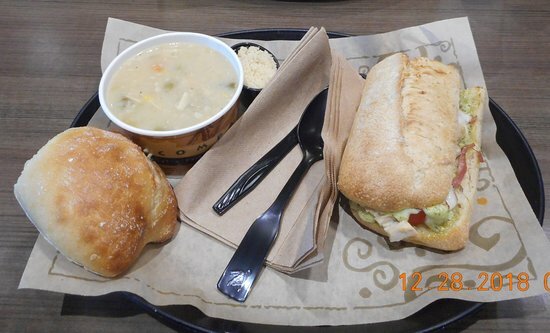 It all adds up to the Zoup! experience that can transform any day in a positive way. The Flavor and experience was Awesome. The look of the Chowder was watery. Flavor and service were Awesome! Kierra W was super nice and seemed happy to be at work. Hard to find these days. I will return! Have been here a couple times recently and have sampled most of the soups. Very good food, although it can get pricey if you don't watch what you're getting. Attentive service, too. Good salad bit attendants did get my order wrong. My friend had a sandwich and didn't like. She felt too grassy. Thanks for coming in and for the review! We're glad you took advantage of soup sampling and enjoyed your meal. We look forward to your next visit! Close to my office is a new restaurant called Zoup. As the name suggests, this is a soup, salad and bread restaurant. They do this very well. Great variety and flavorful. Vegan options as well. Thanks for the 5 star review! We're glad you enjoy our menu items and look forward to serving you again soon. I had the chicken pie soup and it was hearty. Lots of potatoes and the chicken was a little lacking. Flavorful and a great place to visit with family as the noise level was very low. Thanks for visiting and we are glad to hear you enjoyed our Chicken Potpie soup! We serve it daily, so whenever you crave more, stop on in! Thank you Alina for visiting and we are happy that you decided to try us out. We look forward to serving you again soon! 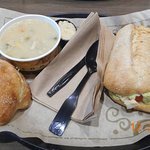 Get quick answers from Zoup! Eatery staff and past visitors.